The case has been registered against unidentified officials of police and revenue department on the basis of a complaint from K. Arjunan, district secretary, CPI(M). The CBI has registered a fresh case of criminal conspiracy, robbery, dacoity and disobeying law to cause injury against police and revenue department officials of Tamil Nadu in connection with the firing on anti-Sterlite protestors on May 22 in Tuticorin in which 13 people were killed, officials said on Thursday, November 29, 2018. This is the second case pertaining to the incident. The agency has covered most of the issues raised in Mr. Arjunan's complaint in its FIR dated October 8, officials said. "Perusal of written complaint dated May 29, 2018, discloses prima facie commission of offence...by unknown persons and public servants from police and revenue department," the FIR said. The fresh FIR has been registered under IPC sections related to criminal conspiracy, public servants disobeying law with intent to cause injury to any person, framing incorrect document to cause injury, robbery, dacoity, criminal intimidation and acts done in furtherance of common intention. Acting on a batch of petitions related to the police firing, the Madurai Bench of the Madras High Court had on August 14 asked the premier investigative agency to probe the incident. 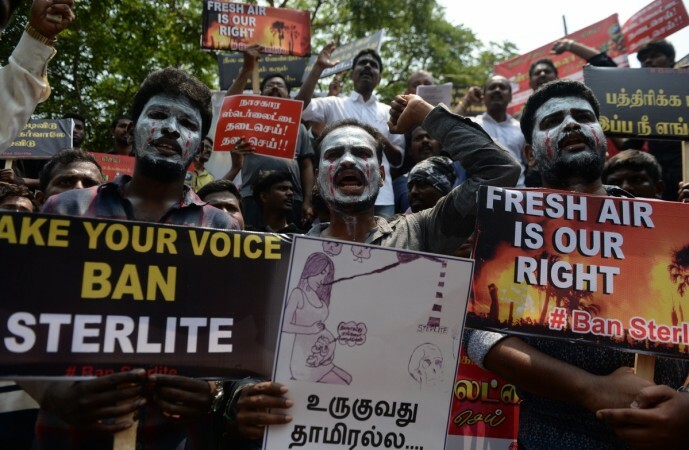 The Tamil Nadu Police had opened fire on protestors on the 100th day of protests as locals allegedly turned violent demanding the closure of Sterlite copper plant, a unit of Vedanta group over purported pollution concerns killing 13 people, the police had claimed. The 13 deaths drew widespread condemnation by opposition political parties, led by the Dravida Munnetra Kazhagam (DMK) in the state. The petitions which sought relief for the victims, registration of murder case against police officers for allegedly deploying snipers, a probe by a high court judge and the CBI, were heard by a division bench of Justices C.T. Selvam and Basheer Ahmed. "It can hardly be expected that any investigation either into the wrongdoings of the protesters or of the police or administration would inspire confidence if entrusted to agencies of this state," the bench had said. It had further said that the State government was liable to answer certain questions over the firing as it noted that the absence of the district collector was rather unusual in the face of definite input of anti-social elements infiltrating the 100th day protest, which prompted promulgation of ban orders under Section 144 of the CrPC in the area. Also, the bench had noted that police firing was ordered by an official who was not a jurisdictional executive magistrate and admittedly on his assuming powers which he did not possess. "Caesar's wife must be above suspicion and not only must justice be done it must also be seen to be done," it had added.